Do you’ve any used, old, damaged, scrap or junk to sell? Do you want to get rid of your unwanted car? Then you’ve come to the right place ‘Metro Car Removals Melbourne‘. At Metro, we pay cash for removing all sort of cars, vans, utes, 4wds, and trucks. We offer cash for cars and car removal services throughout Melbourne. It doesn’t matter what’s the condition and what’s the model of your car. So, we accept all vehicles, be it running or non-running. How you can sell your unwanted car to us? Our way of buying a car is easy and simple. We need to share vehicle details for a free price quote. You can do it by callus or sending an online inquiry. We’ll offer a price quote/estimation for your vehicle. If you say ‘agree and happy’, we’ll book your car for quick pickup. Our team will arrive at the car location. By completing the required paperwork, you will get money straightaway. O expert will remove your car from the premises. This process takes 1 to 2 hours from your call of inquiry till pickup of your car. Everyone wants to know how much money he/she will get for the car. The price of any car depends on the condition, make, model and age. Depending on the make and model, we offer different prices for every car. In short, we can offer instant cash quote up to $8,999 in Melbourne. We are one of the prominent car buyers in Melbourne. And we have enough expertise and knowledge to evaluate any car. There are many unique things that we can guarantee to our customers. But our prices are the best in-car market. So, no one will be able to match our quoted price. In case if you’ve any offer from other company, let us know. We’ll try our best to beat other genuine offers and quotations. We buy cars of every make, model, year and condition in Melbourne. No matter if it’s been in a damaged, neglected for years, or simply won’t start. You’ll get cash for every sort of car, van, truck, ute, and 4wd. So, don’t waste your time fixing your car problems. Our company offers free car removal regardless of the vehicle location. So, you’ll get free pickup and towing service all with transfer paperwork. Our company offer various free services to facilitate sellers. We always try to help customers in removing cars, vans, trucks, 4wds, and utes. We offer the following services throughout Melbourne. People who are familiar with us, also called us best car wreckers Melbourne. Because we wreck and dismantle all vehicles from used and old to scrap and junk. Our wrecking team pull out all reusable parts and resell to the public. And remaining car shell, we dispose it for scrap metal. These are the reasons we pay a good amount of money to vehicle owners. We are reliable car removals and wreckers in Melbourne. Our team carefully remove and dispose of every vehicle. So, if you’ve any vehicle available for wrecking, call us today. We have best services of cash for cars and car removals in Melbourne. Melbourne consists of more than 400 suburbs. And we can tell you that we cover all locations to pickup old and scrap cars. As there are so many local cash for cars and junk car removal companies. But we give you more in term of a price, free removal and pickup services. So, you can check the local websites and compare our quotes. We offer top money for all cars, vans and trucks. Doesn’t matter how bad is the condition and how it looks. As our aim is to buy every vehicle from every part of Melbourne. So, you don’t need to worry as we will accept your car ‘as is’. Free towing and removal service is just another free service. We organize free towing and pickup according to your time frame. Talk to our team for an easy pickup by sharing your available time. We buy all Korean, Domestic, European and Japanese models. We generally pay the best price for all Japanese models. It includes all Honda, Nissan, Suzuki, Japanese, Suzuki and Lexus. Besides, we also buy Mitsubishi, Isuzu, Subaru and Mazda. Our team also purchase Ford, Mercedes, Land Rover, BMW, and various other brands. At the time of our arrival, the seller needs to present on the spot. We handover money to customers before picking up the vehicle. To complete the paperwork, we required driver’s license. Our company is one of the biggest car dealers in Melbourne. We are involved in buying and removing vehicle business. So, we have acquired all the relative knowledge and experience. Our staff deal with all accident, junk, wrecked, damaged and broken cars. Besides our experts welcome all old, used and second-hand cars. We cover all suburbs in Melbourne for collecting cars. As we possess the largest fleet of tow trucks in Melbourne. So, we arrange free removal service on the same day. To do so, contact our team via sending an email. As an alternative, you may call us or complete our online form. 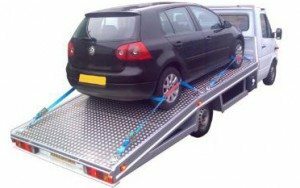 What is Car Removal in Melbourne? How does it work? If you’ve any car that is old, damaged, scrap, used or unwanted by you. Then we pay cash for those cars after buying it from your hands. And we remove it from any location in Melbourne. That is called car removal in Melbourne. Our process of buying cars is very simple and in 3 easy steps. Get a free quote today. So, call, email or send an online inquiry with vehicle details. If you happy then we’ll book your car for free pick up with the time that suits you. We’ll come with a tow truck, and pay you cash for your car. And we remove it. Why should you choose Metro Car Removals? Free quote for any sort of vehicle. Free Old car removal anywhere in Melbourne. Cash for old, used, damaged and scrap car. 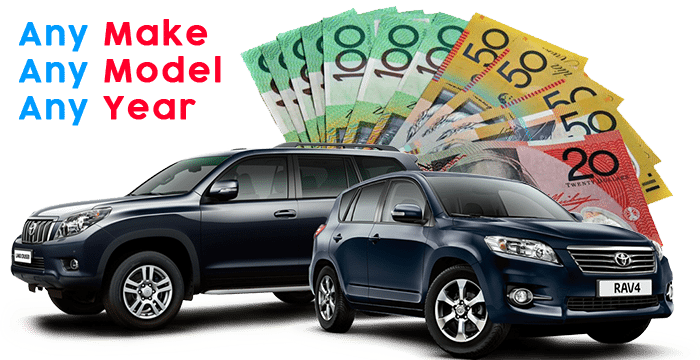 Cash up to $15,999 for any car, van, truck, 4wd or ute. Fast, reliable and quick scrap car removal service. Free Car wrecking services in Melbourne. What are Benefits you will get to choose us? Free quote for any sort of car. Free car pickup, removal anywhere in Melbourne. Free transfer of ownership paperwork. Which of Services are we providing to Remove Car? Cash for a used car, damaged, old, scrap cars, vans, truck, utes, and 4wds. Free car pickup and removal in Melbourne.